Dasburg explained the experience of Taos, "The Taos Valley seemed like the first day of creation." He was called "the greatest draughtsman of landscape since Van Gogh." Dasburg said "The objects and occurrences of natural phenomena are not art. For not appearances, but causations, the underlying geometric mechanism is the guiding principle on which [the artist] builds." Parsons does not offer Andrew Dasburg prints, because no print can compare to the real paintings. He was an American Modernist, a proponent of Cubism, Synchromism and Fauvism. His media included watercolor, pastel, oil and prints. He was born in Paris, France, on May 4, 1887. He was raised in Germany. In 1892 Dasburg and his widowed mother moved to America, settling in Hell's Kitchen in New York City. In 1902 he won a scholarship to the Art Students League, where he studied under Kenyon Cox and DuMond. He helped form the Sunflower Club, to promote brighter colors. In 1906, during the summer, he painted landscapes around Woodstock, New York, studying under Birge Harrison. He moved on to the New York School of Art, studying under Robert Henri, who inspired him. He became a master teacher at Woodstock, New York, along with Konrad Cramer. In 1909, he married Grace Mott Johnson, a fellow artist. In 1909 Dasburg traveled to Paris, where he met Matisse, introduced by his friend Morgan Russell, a student of Matisse. In Paris he also met Gertrude Stein and Leo Stein. He was deeply influenced by Cézanne, Picasso, Matisse, and Kandinsky. a leader of the American Synchromist movement. In 1911, his wife Grace gave birth to their son Alfred. In 1911, Dasberg had his first exhibition. In 1912, he painted at Monhegan Island, Maine, along with his friend George Bellows. a show which astounded New Yorkers. After the Armory Show, he exhibited at Alfred Stieglitz's 291 gallery. He worked with Konrad Cramer, producing paintings he called Improvisation. By 1916, he ended his abstraction period. By 1917, he separated from his wife and took up teaching in Woodstock and in New York City. In 1917, he traveled to New Mexico, encouraged by Maurice Sterne. In 1918, he first visited Taos, on the recommendation of Mabel Dodge Luhan. 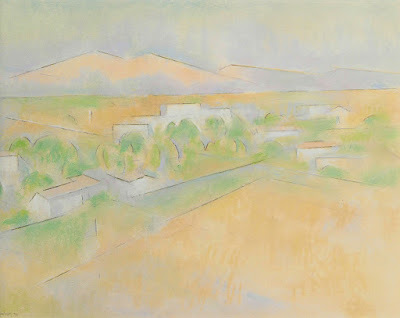 From 1920 to 1928, he drew and painted part of each year in New Mexico. By 1923 Dasburg was an American leader of Cubism. In 1924, he was honored by the Arts magazine. In 1929, he established permanent residency in New Mexico, settling in Taos in 1930. In 1933, he became married to Mary Channing "Marina" Wister, the daughter of the writer Owen Wister. In 1933, he he started working with watercolors. In 1935, he won a commission for murals at the Colorado Springs Fine Art Center. In 1936, he became married to poet Mary Channing Wister, daughter of Owen Wister. In 1937 he contracted Addison's disease, which interfered with his painting until 1943. 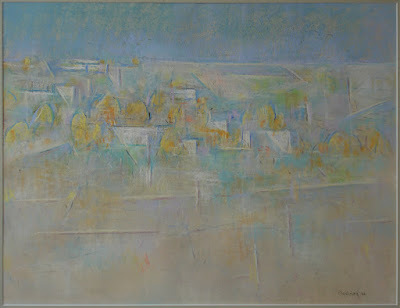 In the 1950s and 60s, Dasburg often drew with pastels. In 1957, a retrospective of Dasburg's work was presented at the Dallas Museum of Fine Arts. In 1975, he was honored by the governor of New Mexico in a solo exhibition at the capitol building of Santa Fe. 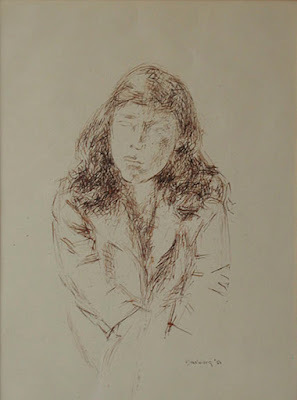 In 1975, he created a series of lithographs. Andrew Dasburg died on August 13, 1979 at his home in Talpa, a part of Taos, New Mexico. "The Absence of Mabel Dodge"